So you may have guessed from the the title of the post - We're Moving!! After 5 years in our current place, we are so excited for this change into a newer and bigger place! With that comes new furniture, new layouts & most of all planning! If you know anything about me, then you know that I've been planning, note taking and preparing for this since we decided to move! For the next few weeks I'm going to share my inspiration room by room - not to worry - there are only 3 so let's start it off with the living room! The living room is going to see the least amount of change in terms of furniture because I happen to love all our bigger pieces, but the accents is where it gets fun to design. Similar to our current place, it's open concept - the kitchen opens up into the living room with a little breakfast bar area that separates it, this is new for us. A few things that we'll be keeping the same - the couch and TV console. I probably shouldn't be obsessed with a couch, but this was the first piece we bought together 5 years ago and it's like BUTTAH!!! I mean you sit down in it and you just want to go to sleep - it's so comfy, so it stays! For extra storage and seating we also have this round tufted ottoman from Threshold. One of the best things about the place is the paint colors - it's completed exactly the way I would have done it. The bar stools were the first purchase we made - I wanted something that would give a nice divide between the kitchen and living room without calling too much attention to it. I chose these adjustable swivel chairs for two reasons. 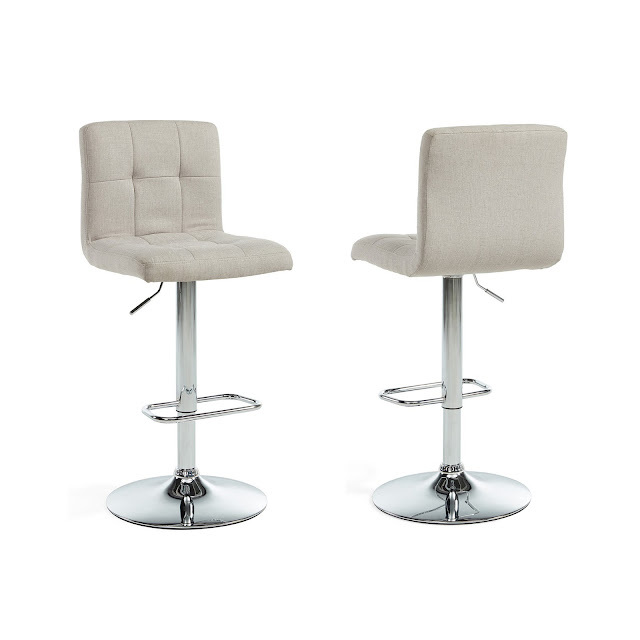 The first is that they are adjustable, so when guests come over they will double as extra seating since they go lower to the ground and can adjust to be the perfect height for the bar. The second is the fabric - I didn't want leather or plastic because we'll be doing a lot of sitting on them, from working at the counter to eating - they will be used so they have to be comfy! This wall clock is going up near the kitchen area. Where I'm having the most trouble is the rug. We haven't needed a rug because of carpeting, but now that we have wood floors, we definitely need it for the space. The one I love from Target would have been perfect, but sadly they don't have the size I need, so we're using it as a runner in the hallway instead. My vision is something neutral with a few pops of a muted color, something similar to this Citrine Rug from Lulu & Georgia, but more budget friendly. Oh my gosh - congrats! Moving is so exciting! I love all your inspiration pictures! You should check out RugsUSA - I have never bought a rug from there myself, but I have heard of a few bloggers that have and I believe they are reasonably priced. Good luck! Whoop Whoop so exciting!!! Home Decorators has a lot of pretty rugs. You re going to put the sweetest, most beautiful touches on your new place!! I know how beautiful it will be. Well, not only because you're beautiful but you have the BEST taste!! Wooo congrats on your new place! Your style and inspiration is gorgeous so I can't wait to see how it comes together! 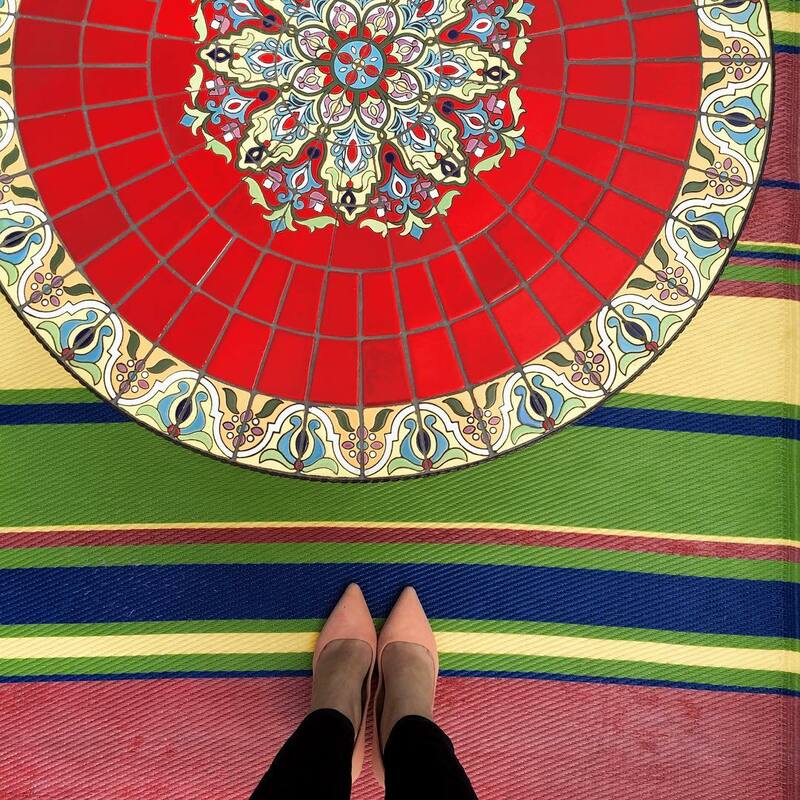 I'm always looking for rugs so I'll keep my eye out for a Lulu dupe! So exciting! Congratulations on the move! It's always so fun to decorate a new space. 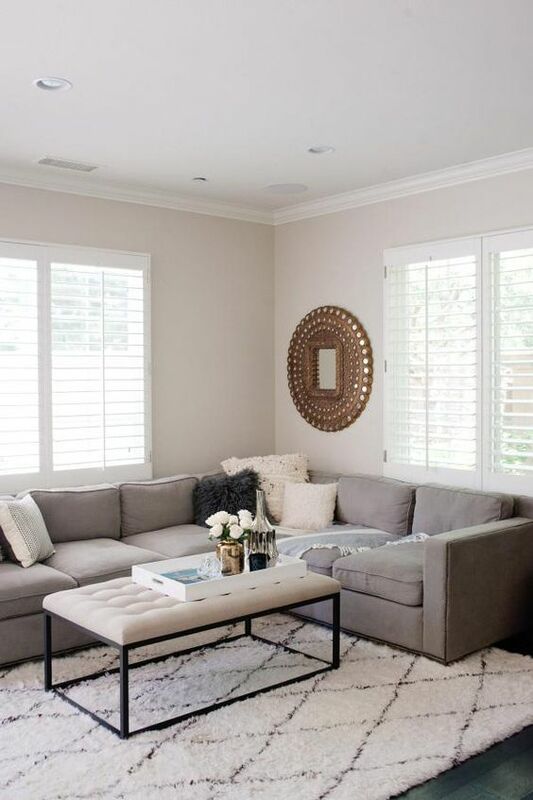 I love everything about that grey and white inspiration for the living room, so clean and crisp. Lulu & Georgia has the most beautiful rugs, but you're right, they are a little pricey. Happy decorating! How exciting! Congrats on your move! I love all of your inspiration pics! 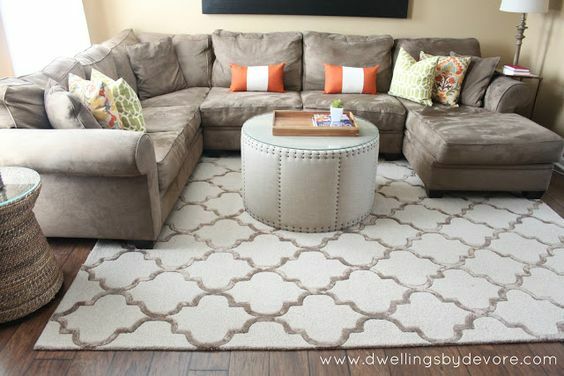 We actually ordered our living room rug from Home Depot of all places and it's my favorite! 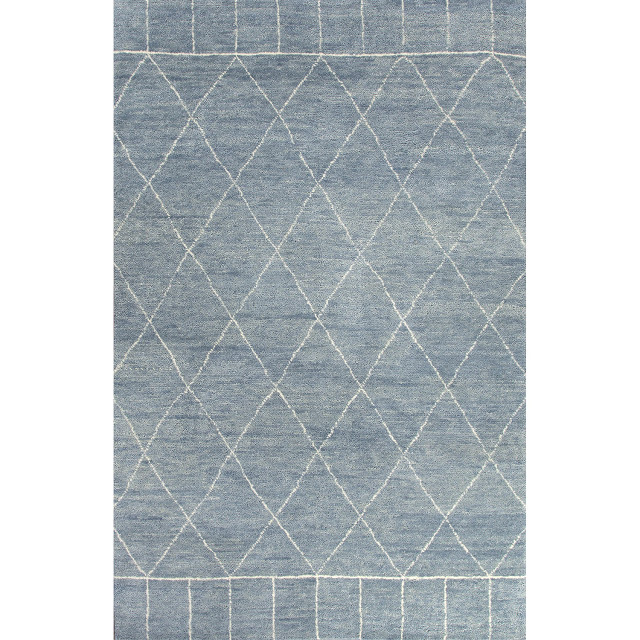 I've also found some great rugs at overstock.com. Have a great day! So exciting!! Are y’all still staying in the city? West Elm has some great lift-top coffee tables! Love this inspiration! Moving is always daunting but exciting at the same time! We've gotten rugs from lots of places--Lowes/Home Depot, Overstock, and Target. Definitely look at Overstock because you can also use Ebates sometimes, and get some cash back off of those purchases. So exciting ! We are moving too, still staying in the same city but moving to a bigger place. I can't wait to see all the things you do to your new place !! More pictures please. How exciting that you are moving, and these pictures provide great living room inspiration. Can't wait to see what you pick. A coffee table with storage is such a great idea. We looked at one when we bought our furniture and now I wish we had gone with that one! So exciting! I recently moved as well, so I am really excited to see all of your room inspiration! That first photo is gorgeous! Are you staying in Back Bay or heading out farther? Can't wait to see how you end up decorating your new place! Moving is definitely exciting - it's fun to find new pieces!! I am sure it will look great- love the ideas you have! Congratulations on the move!! Still staying in the city? We got an area rug for our living room Home Decorators and I love it. They have a lot of good options. Do you guys have an Arhaus Furniture there? We got our coffee table and two end tables there. Hope that helps a little bit. Your inspiration pictures are also very pretty,. and yay this is exciting news!! YAYAYAY Congrats!!!! Can't wait to see how you decorate the new place! Since we just moved into our house as well, I love seeing how others gather interior decorating inspo! So excited for you! yay for moving! it's so fun. well, i mean it's a pain but it's nice to have a fresh new place :) prob why i move every 2-3 years ha. that coffee table idea is brilliant! i am always on my couch bc well, i don't have a dining room plus it's just me :) great colors you have too! check out CB2, west elm, pottery barn. sign up for their emails and they do coupons all the time! Congratulations! That's such exciting news! I really love the grays. So exciting!! Love this inspo, can't wait to see what you do with the new place!! How exciting! 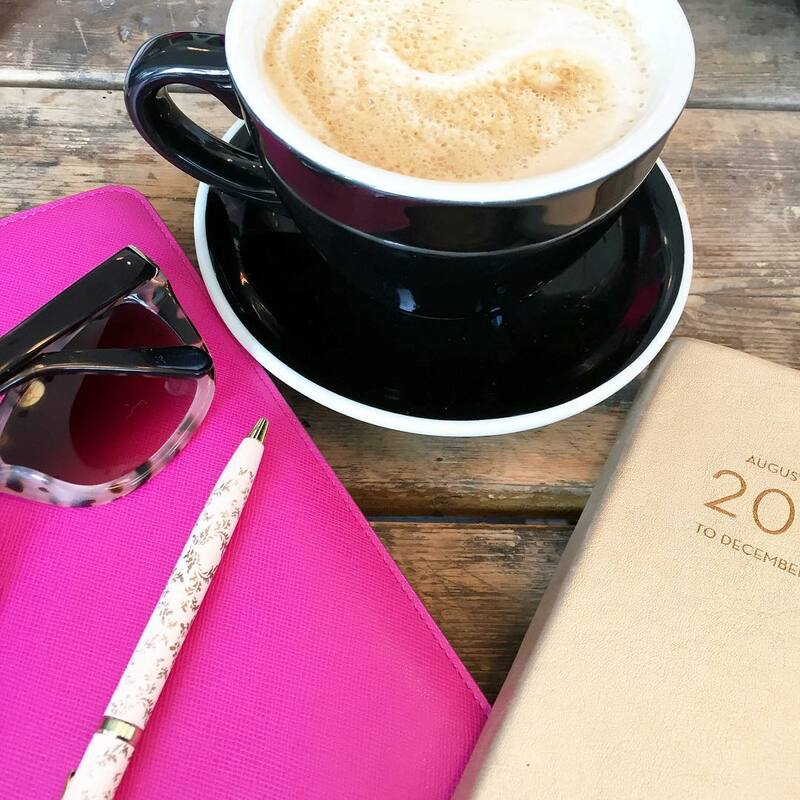 Loving your inspiration photos! We moved a couple years and it definitely took me a while to get settled in. Love your inspo !! I love clean and white and neutral spaces. These are all beautiful ! YAY! Congrats!! I love the gray color scheme in that first picture. So exciting, congratulations! You're going to make your new space gorgeous! You should browse Rugs USA for cute budget-friendly rugs and Raymour and Flanigan used to have a budget-friendly West Elm knock-off of a lift up coffee table! So excited for your move!! I love your inspiration picks- crisp and clean is definitely the way to go! Can't wait to see your new space! oooh!! I love this inspiration! Those couches look so comfortable! Congrats on the new place! How exciting!!! I love that gray couch! Gray is such a relaxing color. All of your pictures are perfect. Chris has to have one of those coffee tables too, we looked at some two weeks ago haha. I get most of our rugs from Home Depot to be honest. They have a wide selection of styles and sizes and they are a great price for what you get. Also, Kirklands sometimes has some really nice ones. They usually have coupons like 15 or 20% off too. I got all of the rugs for the shore house from Wayfair. I've had excellent luck there. So exciting to put your spin on a new place. Congratulations! So exciting! I love all of your ideas and inspiration! A new place to live?! So exciting! I cannot wait to see how you decorate your new space. Good luck getting everything together for the move! Congrats! How exciting! I love the inspiration for your living room, and I think it's great that you already have most of the big pieces - makes it a little easier. I always check TJMaxx and World Market for rugs! How exciting that you guys are moving, too! We'll be moving in less than a month and I'm so excited! We've decided to keep pretty much all of our furniture and just add pieces, like you're doing. It's funny because I'm having a dilemma with finding the perfect rug, too! I didn't even think to check out Target, so thanks for mentioning it! I love the idea of that fold up coffee table, genius! I look forward to the next few posts on the different rooms because I'm looking for some ideas! Thanks so much for sharing and I hope you're having a great week so far, beauty! You're going to have so much fun making your new place feel like you. Cant wait to see your finished rooms. Ahhh so exciting!! Love home decor posts and can't wait to follow along with yours! Congrats on moving! That is beyond exciting!!! I am a huge fan of home decor posts they are so fun and so inspirational! Cant wait to follow along! happy Wednesday lady! Omg congrats!! How exciting! I love all the inspo! The grey couch is so pretty and I love that coffee table! Can't wait to see how it turns out! Congrats on the move, how exciting! I love all of your inspirations, you and I have similar taste! I have a lift top coffee table and it is a life saver for storage! It is actually going at the foot of my bed in my new place as my new roommate already has a similar one in place! Sooo exciting!! Can't wait to see pictures of the new place and how you decide to decorate it! You and I definitely have the same taste in decor. Majorly swooning over that first room! Congratulations guys!! Moving is always so exciting and it's SO much fun to decorate a new place! I can't wait for us to move...we just can't make up our mind on wether we want to build or buy. I love all of your inspiration...I have a secret board on Pinterest full of decor inspo for whenever we move. Pier 1 has some great finishing pieces and sometimes Hautelook has some great rugs, I'm sure Overstock does too. Can't wait to see you other inspiration posts!! Absolutely gorgeous inspo! I love the greys. Congrats on the move! Congratulations on the move, how fun! I love all the inspiration. The table should be fun, and those barstools are so great! Congrats on the move, girl! I can't wait to see your new digs! You MUST do a home tour once you guys get settled in! Congrats on the move! These inspo are just so pretty! Yay! That's so exciting. Can't wait to see your new place! Exciting!! Can't wait to see how you decorate the new space. I love home tours. I have to say I'm in agreement with Gary on the lift-top coffee table. My friend has one I loooove from West Elm, and when I'm ready to upgrade my living space that's the first thing to come in! ahhh this is so exciting! are you guys staying in the same neighborhood and just going to a new place or moving somewhere totally different? I love the lift up coffee table-- we could totally use something like that too because we always end up eating on the couch (bad habit, haha). Home Goods can be hit or miss, but they sometimes have really cool rugs-- I'm obsessed with the rug in the second photo you posted, it looks so soft! So exciting to hear about the move!! Can't wait to hear about your new location! From your inspiration here I know that the room will look amazing! Love the idea of a lift up coffee table - my brother has one and since seeing it that type has really caught me eye! Congrats on the new place! Can't wait to see how you decorate! Moving is always so exciting! I love all of the ideas that you have right now, especially the ones about the adjustable height for the stools and the lifting coffee table. The thing that I've always noticed about us is that we always tend to put our feet up on the coffee table, so it's been nice to have a leather ottoman instead of a coffee table because I don't feel like we're beating it up as much. Oh my gosh so exciting!! I love decorating but it never really happens with a toddler ha. I love your style picks. we'd love to paint our house grey eventually, but not the normal grey you'd think of a very bright light grey. Congrats on the move! Loving all of the grey! Great inspirations dear... good luck with the move!!! Congrats!! I am so excited for you. I love the color palette as well as that coffee table. That's a great idea!! Love the inspo! We have a very similar color palette in our home (with teal accents, gray, and white) - I love it! We just finally have our living room the way we want, except for a coffee table I like - Jason's old one is the a storage pop-up, but it's old and ugly, and he refuses to part with it. Buttttt, this West Elm one might be the bargaining piece I need. That's exciting!!!! Are you still going to be in the city or moving out more to the burbs? Oooh, I'm so excited for you guys! You are going to deck that place out sooooo chic, I just know it! YAY! Congrats on moving! Loving your inspiration! Yay congrats on moving. Can't wait to see what you come up with from this inspiration! Why have I not ever gotten myself a coffee table like that?! That would be AMAZING for when I work from home (and may or may not have Netflix on in front of me...haha). I always strain my back with my computer and workpapers on the coffee table. Your living room is going to be fabulous! I love Target rugs and have looked at ones on Overstock recently. I hate spending much on rugs because of having kids and dogs, but heck, even before that I just couldn't justify spending much. Overstock prices are about the same as Target. Loving the scheme you are going with! Good luck with the move! Congratulations! Waiting to see the new home design! I'm in the process of loving for a similar coffee table for my husband, lol!!! I loveeeeee that first living room. It's so chic yet so warm and inviting. So exciting to be figuring out a new space! Exciting! I can't wait to see the new place! Designing a new space is so fun! ahhhh how exciting!! congrats on moving. your style is fabulous so i am sure your new place will be gorgeous. that coffee table is SUCH a good idea. i want one!